In 2008 a court in New Zealand ordered a child’s first name to be changed because the child feared being “mocked and teased”, and criticised the parents for poor judgement in choosing a name that made the child look foolish. 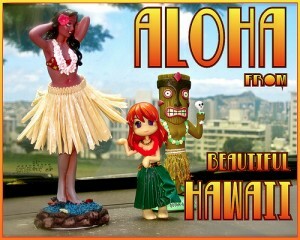 The child had been named Talula Does the Hula From Hawaii. She called herself K.
In the UK there are no prohibitions on first names for children, but the Registrar of births, deaths and marriages has the power to refuse to register a child’s name in the rare and exceptional circumstance that it would be deemed offensive. Denmark, Spain, Germany and Argentina all publish lists of acceptable first names from which new parents may choose. A British study on the psychological effects of an unusual name found that people with unusual first names often had a difficult time when they were children, because all children want to fit in and find it difficult if they have a name that makes them stand out. However, as they became adults, people with less common names often appreciated them. Celebrities often choose unusual names for their children including Zowie, Fifi Trixibel, and Brooklyn. Names follow trends, including in the recent past, children named after celebrities (Jordan and Jade were popular at one time), characters in films (6 boys were named Gandalf in the UK and 2 have been called Superman) and football teams (36 children of both sexes have been called Arsenal). An adult can change their name by a Change of Name Deed when they are 18.